12.7.04 Update: Seems good things do happen to good people … Debi’s won the lottery. Literally. To the tune of $27 million. Imagine what she’ll do with that? For those coming to this page for the first time as a result of the lottery-related media, we ask that you check out the main page for Strengthen The Good as well. Good for you, Debi … and thanks for helping to strengthen the good! And indeed it is. But if the object is to fight evil by strengthening the good, it’s hard to find a cause much more noble than this. In 1996, while I had one eye on dinner and the other on the evening news, I heard a story that would change my life. I stood frozen as I listened to the reporter’s account of the tragedy … a newborn baby boy had been stuffed into a duffel bag and tossed from a speeding car along a freeway. I couldn’t move, I just kept thinking about this child and wondering how we could have become a society that just throws their babies away as if they were a piece of trash. I contacted the authorities and with the blessing of my family, I asked the Coroner’s office to release the baby to us for burial. While waiting for the investigation to end on this child, I learned that there was another newborn baby boy that had been found in a dumpster, and a little girl about two years of age, who was found washed up on a beach. On August 26, 1996, we had our first burial service for the three children. They were given the names of Matthew, Nathan and Dora. That is the beginning of the remarkable story of Debi Faris, who took that event as inspiration to form Garden of Angels, a charity that works to provide names and legal, honorable burials for abandoned newborns. 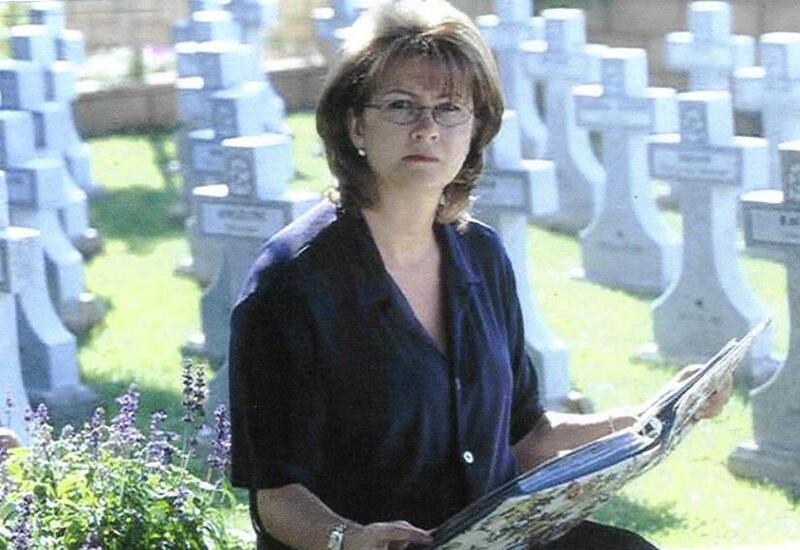 Since Debi started her work with the burials of Matthew, Nathan and Dora, she and her charity have worked to provide the dignity of a proper burial to 68 abandoned infants. The ‘Safe Arms for Newborns’ law allows a parent to give up an unwanted infant with no fear of arrest or prosecution for abandonment as long as the baby has not been abused or neglected. The law does not require that names be given when the baby is surrendered. Parents are permitted to bring a newborn baby within 3 days of birth to any hospital emergency room or other designated safe haven in California. The baby will be given medical treatment and placed in a foster or pre-adoptive home. The law allows for a 14-day cooling off period, in case the parent may change their mind and work to reclaim their baby. Since January 1, 2001 when the ’safe Arms for Newborns’ law went into effect, 59 newborn babies (as of July 2004) have been “safely surrendered” at hospitals within the state of California. This is a lifesaving law, but only if people know that it exists. To this day Debi’s work continues with this two-pronged approach: providing dignified burials to infants when they’re found, and encouraging parents to avoid making that choice in the first place. As you know, the intent of Strengthen The Good is to raise awareness of “micro charities”–charitable opportunities that are simple, personal, non-bureaucratic, and inspiring. Charitable opportunities where someone can feel great about giving $1, or even just from reading the story of the charity, it’s sponsors, and it’s beneficiaries. Garden Of Angels is just such a charity, and we’re pleased to profile Debi Faris’ Garden of Angels as an example of strengthening the good. STG is not an encouragement to donate … it’s an attempt to create awareness. So to learn more about Garden of Angels and Debi’s inspiring example of how one person can make a difference, fight evil, and strengthen the good, you can visit the Garden of Angels site … it includes the charity’s mission statement, news clippings, and other information. If, however, you do choose to donate, you may do so online … and I’d encourage you to do so (as opposed to using the STG Paypal account and giving Paypal part of your donation). Garden of Angels has a donation page online here, and if you want to do so by check, you may learn how on the same page. Finally, you can help by clicking the ads over there in the right-hand column. We donate all ad revenues to the profiled charity, so every click and visit to an advertiser helps at the end of the day. Now … be responsible. Just because I’ve satisfied my qualification of this charity does not mean you’ve satisfied yours. You are responsible for satisfying your own qualification of this or any other charity STG may point to, and while I am profiling this charity, I do not guarantee its legitimacy, its use of whatever funds you might donate, or the accuracy or of the information on its web site. Hopefully that’s satisfied the attorneys, and we can get back to the business at hand. Thank you for reading about Debi and the Garden of Angels. We hope it was cause for inspiration, and thank you for working to strengthen the good. Thank you so much! I can’t tell you how much it means to me that you would feature our foundation and try to help us raise money! It really means so much to me and our foundation. All of the board members of my foundation (including myself) do not earn a salary or receive any compensation for our work — we all believe in the mission and do it for free, which can be hard for our members who have other full-time jobs as well! Anyway, any help is HUGE for us since I have been paying for everything out of my own personal funds, which is getting expensive, but well worth it! I read recently, in the somber flurry of September 11 memorial writing, that September 11 was unique because it reversed the typical order of tragedy in war: rather than it being the parents who sent their children off to face an uncertain fate, on 9/11 it was the children who sent off their parents. One of those children, though not yet born at the time, was Pierce Woodall, daughter of Brent and Tracy Woodall. Tracy was five weeks pregnant on 9.11.01, when she and her unborn child sent Brent, a stock trader, off to work at Bruyette and Woods on the 89th floor of the south tower of the World Trade Center. 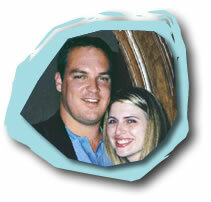 Tracy was among the thousands of loved ones who had the bittersweet experience of receiving a phone call from WTC that September morning, as Brent called to let her know all was well in his tower. This was to change, however, when the second plane hit. Tracy finally reached Brent on the 87th floor of the South Tower, where he had reached a locked door. Brent–6-foot-5, handsome, a college athlete at Berkeley and former minor league pitcher for the Cubs–assured his wife of 31 that everything would be all right. And like so many people that bright clear day, that call was the last time Tracy heard her husband’s voice. Since that day, much has changed. On April 22nd 2002, Tracy gave birth to Pierce Ashley Woodall. She moved back to her home state of Texas to be near family. And she refused to be ruled by her grief. Tracy Woodall understood that a sound response to evil is to strengthen that which is good. In contrast, most autistic children prefer objects to faces and seem to have tremendous difficulty learning to engage in the give-and-take of everyday human interaction. Even in the first few months of life, many do not interact and will avoid eye contact, seeming indifferent to other people. Autistic children often appear to prefer being alone rather than in the company of others, may resist attention or passively accept such things as hugs and cuddling without caring. Later, they seldom seek comfort or respond to parents’ displays of anger or affection in a typical way. Research has suggested that although autistic children are attached to their parents, their expression of this attachment is unusual and difficult to “read.” To parents, it may seem as if their child is not attached at all. Parents who looked forward to the joys of cuddling, teaching, and playing with their child may feel crushed by this lack of the expected and typical attachment behavior. Children on the autism spectrum also are slower in learning to interpret what others are thinking and feeling. Subtle social cues – whether a smile, a wink, or a grimace – may have little meaning. To a child who misses these cues, “Come here” always means the same thing, whether the speaker is smiling and extending her arms for a hug or frowning and planting her fists on her hips. Without the ability to interpret gestures and facial expressions, the social world may seem bewildering. To compound the problem, people on the autism spectrum have difficulty seeing things from another person’s perspective. Neurotypical (popularly described as “normal”) 5-year-olds understand that other people have different information, feelings, and goals than they have. An autistic person may lack such understanding, an inability that leaves them unable to predict or understand other people’s actions. Although not universal, it is common for autistic people also to have difficulty regulating their emotions. This can take the form of “immature” behavior such as crying in class or verbal outbursts that seem inappropriate to those around them. The autistic individual might also be disruptive and physically aggressive at times, making social relationships still more difficult. They have a tendency to “lose control,” particularly when they’re in a strange or overwhelming environment, or when angry and frustrated. They may at times break things, attack others, or hurt themselves. In their frustration, some bang their heads, pull their hair, or bite their arms. It is a difficult and emotionally painful disorder, for both the children afflicted … who live seemingly trapped and detached in their closed world … and for their parents … who, often anticipating the warm love and emotional give-and-take of parenthood, instead struggle to understand and care for children with whom emotional reciprocation is, at the best distant, and at the worst, nonexistent. Holding her new daughter, Pierce, in the delivery room, she knew she had to pull herself out of that hole. She vowed then to combine her dream of working with autistic kids with a commitment to keeping Brent’s memory alive. Stealing moments between changing diapers and late-night feedings, Mrs. Woodall started putting together a nonprofit foundation in his name. Since it is not realistic for the Foundation to provide even modest financial and hands-on technical assistance to all of the families affected by autism, even in the US, the Foundation focuses on a two part plan, with both prongs aimed primarily at the youngest children with autism. In working with autistic children it is crucial to begin providing proper care, nutrition and technical assistance at the youngest possible age. The greatest impact on such children can be made by age six, and unfortunately it is difficult to diagnose in most cases before eighteen months of age. By working with these children the Foundation can provide the greatest benefit to the most people with any given amount of funding to the Foundation, and also train parents at an early and vulnerable stage how to be more self-sufficient and ask better questions of caregivers. Both components of the Foundation’s strategy build not only on the expertise of Tracy Woodall and the platform she has developed, but also on the Foundation’s learnings from working under the most difficult conditions with Romanian orphans in an institutional setting inside their own country at Cristi’s Outreach Foundation. Jill Weynert and Christine Lopez, ABA Specialists from New York and ABA consultants for the Brent Woodall Foundation for Exceptional Children, arrived in Cleveland June 10th after a long work day. I met them at the airport and took them to their hotel. Their enthusiasm was contagious and for the first time since I found out my daughter had autism, I found myself believing that my daughter really would be able to do the things other children can do. Jill and Christine arrived at our home early the following day and began working with Katie immediately. They assessed her skills and later in the day began working with Katie using the ABA techniques. The changes in Katie were immediate! Many parents mark the major milestones in their child’s life: when she first crawled, walked, said her first word. For the first time in her life, Katie was making a real connection with people around her! That was the biggest milestone! Her smile brightened and she was responding to questions and interacting. That afternoon, she asked her twin brother to play with her for the first time! I just stood there and watched as the tears just ran down my cheeks. We realized that day that Katie’s potential was limitless! During that weekend, the Woodall Foundation made arrangements for Jill and Christine to work with my husband and me. They reviewed the ABA approach and offered an outline to assist us. The goal was to train us, the parents, to work with Katie on a regular basis. We were so excited and empowered by the knowledge that we could truly make a difference in Katie’s life. Jill and Christine videoed Katie and kept data on her progress during their ABA sessions with her. Once they arrived home, they sent everything to Tracy Woodall for her to review. After receiving and reviewing everything, Tracy called me and told me the Foundation would like to bring Katie and me to New York City in order to receive more intensive services! … The Brent Woodall Foundation and Tracy have changed our lives. All of the ABA Consultants have been true angels to my daughter. We know that without their assistance, we never would have realized our daughter’s potential. On September 11th, many lives were changed forever. Tracy Woodall chose to take this horrible event and in her beloved husband’s name, she would offer families with Autistic children hope. The intent of Strengthen The Good is to raise awareness of “micro charities”—charitable opportunities that are simple, personal, non-bureaucratic, and inspiring. Charitable opportunities where someone can feel great about giving $1, or even just from reading the story of the charity, it’s sponsors, and it’s beneficiaries. Tracy Woodall is just such a person, and the Brent Woodall Foundation for Exceptional Children is just such a charity. September 11, 2001 was an act of extraordinary evil. And three years ago, Tracy’s reaction foreshadowed the idea of Strengthen The Good: use 9/11 and the inhumanity it represents as motivation to give to a worthy cause and the humanity it represents. So now, one day after the third anniversary of 9/11 and Brent Woodall’s death, Strengthen The Good profiles Tracy Woodall and the Brent Woodall Foundation for Exceptional Children. How you can help: First and foremost, you can help by raising awareness. Visit the Foundation online and send the link to anyone and everyone. Tracy’s is a wonderful and inspiring story, and the Foundation can benefit just from having people know of its existence. They also need help with events and volunteers, and you can learn how to get involved with both here. … launching of our outreach program, expanding our website to electronically process inquiries of need and match those requests with appropriate resources, financial resources for micro grants to families trying to educate themselves to become more self sufficient and further development of training materials for autism therapists. Thank you for reading about Tracy and the Brent Woodall Foundation for Exceptional Children, and thank you for working to strengthen the good. 1 September 2005 Update: If you’ve found this page because you’re looking to help with Katrina relief, or because you’re looking for a matching donation program, please visit our Matching The Good: Katrina Relief page. 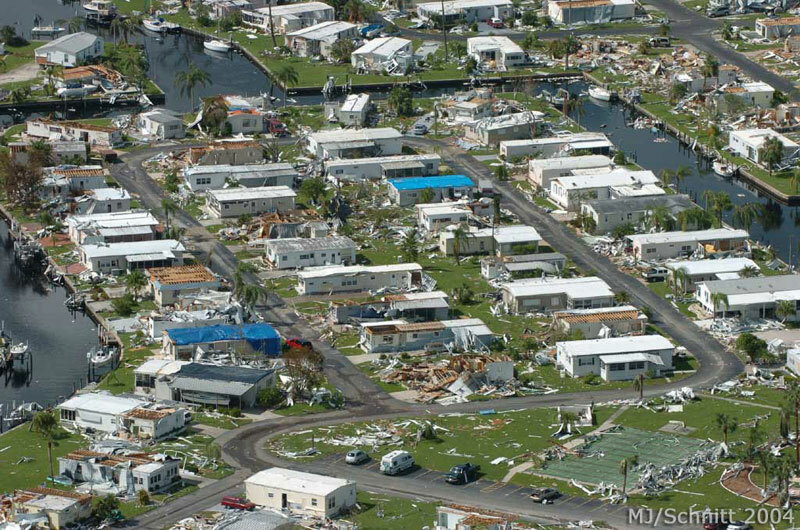 We’re matching donations up to a total of $1,000 with a donation to the Red Cross 2005 Hurricane fund. If you’d like to join in the match challenge (helping us up the match to more than $1,000) through a donation of your own, please email me at alan at strengthenthegood dot com. Thanks. 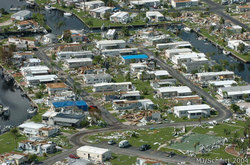 In an effort to direct additional funds to nonprofit organizations in the areas devastated by the hurricane, the Board established the Hurricane Charley Disaster Relief Fund with an initial gift of $25,000 and voted to match contributions to the Fund up to $200,000. The community met the match this weekend. “micro charities”—charitable opportunities that are simple, personal, non-bureaucratic, and, like Susan Tom, inspiring. Charitable opportunities where someone can feel great about giving $1, or even just from reading the story of the charity, it’s sponsors, and it’s beneficiaries. And here, with our very first charity, I’m going to vary from that scope. 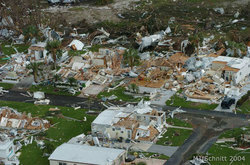 Here’s the issue: a burning charitable need at this moment is relief for people affected by Hurricane Charley. And while I very much want to highlight a Charley micro-charity, the fact is that the need right now is macro … incredibly macro. Fundamental needs: housing … water … huge quantities of baby formula … needs that are best met by macro charities such as the Red Cross, the Christian Contractors Association, and Salvation Army, and it’s going to be this way for some time. But I also think I’ve found something you can get behind and feel good about: The Gulf Coast Community Foundation Of Venice Hurricane Charley Disaster Relief Fund. A community foundation is a charitable organization that derives its funds from gifts provided by its citizens. Citizens can contribute any amount of money to a community foundation, which in turn invests the gifts for growth and income. The community foundation then uses that income to make grants that strengthen the community. As a community foundation, Gulf Coast Community Foundation of Venice operates under the principle of perpetuity ensuring that gifts made to the Foundation will grow and make a lasting impact for the community now and in the future. Founded in late 1995 as a result of the sale of Venice Hospital, it was originally named The Venice Foundation. In 2003 the name was changed to Gulf Coast Community Foundation of Venice to reflect the communities it serves, from Osprey to Boca Grande. It has awarded grants of more than $40 million to the community in the areas of arts and culture, health and human services, education, and civic affairs. In addition to making grants that benefit our area, the Foundation also help donors to achieve their charitable dreams. When a donor creates a fund at Gulf Coast Community Foundation of Venice, they get the resources and expertise of our staff…and the service that could only come from a community foundation. We work with our donors to make sure their fund(s) meet their needs and allow them to have an impact on the community and issues they care about. As you can see here, the GCCF of Venice has been extremely involved in supporting the local community … funding everything from public libraries to scholarships to senior centers to animal rescue to YMCAs. Venice was just north of Charley’s most severe effects, but with the devastation in nearby Charlotte and North Port, it’s no surprise that such an active foundation would create a Hurricane Charley Disaster Relief Fund. That’s right: a total match, of every dollar, until they’ve raised $100,000. Only have the resources to give one dollar? Fine … count it as two. Think you can pony up ten? Call it twenty. Think you can part with fifty … feel good about contributing one hundred. And what’s more, you can do so knowing that you’re supporting a local Charley relief effort, staffed by and benefiting people from the community and administered by professionals. You can donate online with a MasterCard or Visa here (all transactions are processed through a Verisign secure server site). If you do, be certain to select the Hurricane Charley Disaster Relief Fund from the drop-down menu, and if you would, please note “Strengthen The Good” in the Special Instructions field … I’d be interested to learn how much our network ultimately contributes. If you donate via mail, please note “Strengthen The Good” in the memo line on the check. Finally, if PayPal is your thing, you may donate via the Strengthen The Good PayPal account … the button is over in the right-hand column of the main page. I’ll write a single check to the fund for all donations made via PayPal over the next three weeks (and will find a way to offer a full accounting online so we can all exercise due diligence). Note that if you do donate via PayPal (1) it’s not tax deductible (although I’m working on that for future charities), and (2) PayPal will be taking a cut of the donation for their service fee … so unless you absolutely don’t want to, I’d suggest donating to the fund directly via their online donation form. Thank you for working to strengthen the good.